Fill Survey & Get Rs. 35 Earn Talktime Balance Instantly. 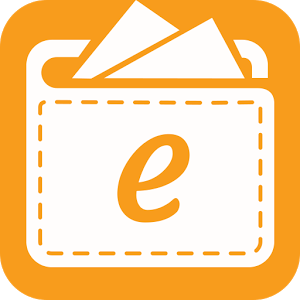 Hello Dealsnloot Readers,EarnTalktime App one of the old & trusted app for free recharge is now offering an awesome deal through which you can earn Rs.45 Wallet Balance just for filling one simple survey of 15 minutes & you can redeem your earnings in form of Flipkart voucher or Recharge.Earn Talktime has come up up amazing offer from which you can get Rs 45 Earn talk time Balance which can be used for Free recharge.So Grab This Loot Offer and Get Unlimited Earn Talktime Wallet Credit. Update :- Note : Those who already availed this survey last time are not eligible.In case you can't see any survey Banner, just restart EarnTalktime app and try again. 1. Download Ett App or open it If you Already Have. 2. Open App and you will see A banner Like above picture. 4. You will get Instant credits for completing the Survey. * In case you can’t see any survey banner, restart Earn Talktime app and try again. Once you complete full survey, instantly Rs.35 will be credited in your Earn Talktime wallet which can be redeemed in form of Flipkart voucher or Recharge. 2. this Offer Might not be visible to all users. 3. you will get Instant credits when you complete the offer. select Tinder must and any 2-3 more Site tic any. And Ramming Details Enter Fake. Only Tinder Site Rank Level Give 2 Option And Other Site 1st Option.